There was quite a surprise waiting for me yesterday morning. It was snow! Huh? If you guessed it is spring, you would be correct! 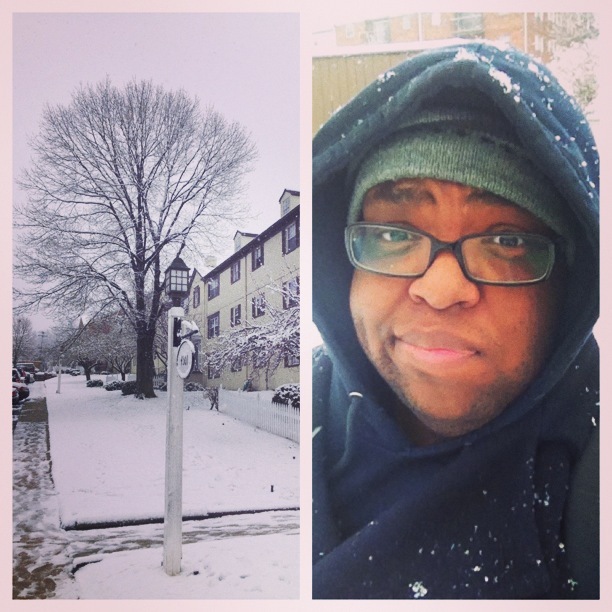 The occurrence of snow and the absence of sun, jarred my memory of a story I wanted to share. I had it all mapped out, ever since 6th grade. I would get A’s and B’s in middle school. Then, I would take Pre Algebra, Algebra, Geometry and finally Pre-Cal in high school, landing me a chance at a descent college, to study Music Education. There was just was just one problem: None of that happened. I received my first “F” in Social Studies during the first quarter, in middle school. I was devastated. Let’s fast-forward to high school, shall we? I took Geometry as a junior, failing it with a 67% for the year. That meant I had to repeat it my senior year to graduate. Not to mention that my grades were mediocre, and my SAT score left much to be desired. I got into a school that wasn’t my first choice (or second, or third, for that matter). Through much discomfort, I was still able to obtain my degree and become a music educator. I’m glad you asked. I didn’t just stop when things didn’t go my way. I’m not saying that I didn’t have a nudge from a family member, or from a friend. That’s not what I’m saying at all. Such pushes were welcomed, although I didn’t really know how to show gratitude for them, at the time. I’m not saying that I didn’t feel like giving in, either. But even though I my own plans, things still worked out. The end result is that I’m a music teacher; it’s not that I didn’t go to the school of my choice or even that I failed Geometry in high school. As an adult, things seem to get harder; but are they really? Could it be when we were younger, we didn’t know much about the world and therefore just wandered around naively (not paying much attention to tough situations)? I can certainly vouch for that one. It seems like, because I know more about this world, the more important it is for me to fight beyond how I feel. The sum of its parts is this: So what life doesn’t go the way I expect it to. I’ll just bundle up and kept pushing. ← Did I just miss something?